Never let anyone make you believe you can't attain your goals and aspirations. If you have the desire to achieve something, GO FOR IT. There can be a certain amount of preparation time that comes with an objective you desire to achieve. If you are actively working towards your achievements, anything is possible. Just remember, you have to do the adequate research on what you want to accomplish. A lot of us give up because of laziness & procrastination. Do you think Oprah obtained her goals without any obstacles. The answer is NO, but she pressed on no matter what and now she's reaping the reward of her hard work & determination. If you want to go to school, start the process. When you want to go on vacation, you start booking hotels ahead of time. Well, it's time to start booking reservations that will increase you and your children's knowledge base. Those important things that will help you in school and life. Get out a book & read. You may find it interesting and very informative. By the way, parents take the time and effort to read to your children before they start school. Educate them at an early age. Do not limit their goals, because dreams are possible. He or she may be the next president, doctor, lawyer, executive, teacher, manager, or etc. Prepare them for success at an early age. Encourage them to dress and think like a boss. I'm not saying drill it into them, but make it interesting by reading & playing with them; meanwhile, having fun with them at the same time. That may make them look forward to story time. I'm not saying that will make them perfect, but even if they stray from what you teach them, eventually they will come back to it. So teach them positive things. Our children are important to the present & the future. Lead by example, educate yourself. Even if you have the career you desire, continue to educate your mind in your field of expertise. Nobody knows everything; therefore, you can always learn a new technique or way of doing something from someone else. The downfall comes when a person thinks they are the best at everything. They have no room to grow & improve with that mindset. Encourage your family & friends to continue to grow & succeed. LET'S MAKE THIS WORLD A LOVING ENVIRONMENT!! LET'S MAKE THIS WORLD A LOVING ENVIRONMENT!! DO YOU HAVE ANY GOALS OR DREAMS? HAVE YOU STARTED PREPARING FOR THEM? ARE YOU GETTING YOUR CHILDREN PREPARED FOR THEIR FUTURE? Go for your dreams. 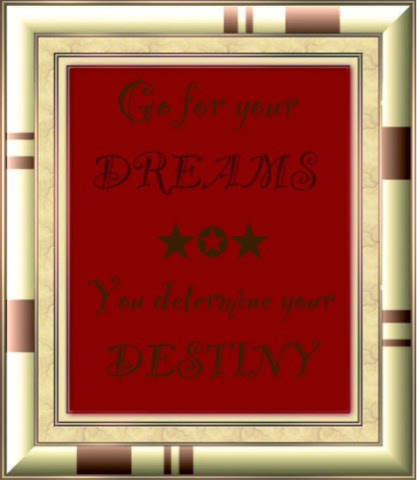 You determine your destiny!!! Another lesson fom Grandma | Grandma said, " Do THAT HAIR"
Great more people need to here the word dont give up in this time of deception. Thanks for your comment & taking the time to let people know not to give up in times of deception. " keep your eyes on the prize!"